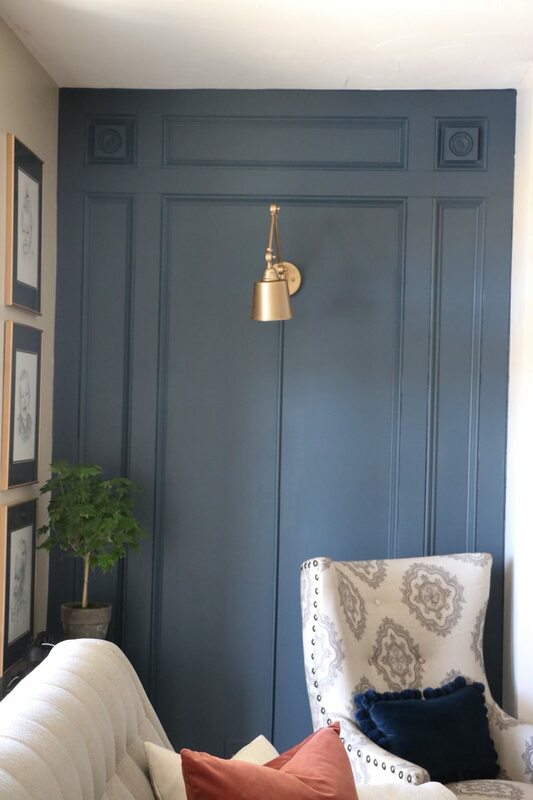 DIY Elegant Paneled Wall with Remodelaholic - Sincerely, Sara D.
A few months ago, I shared our living room makeover (you can see all the details on that makeover HERE). 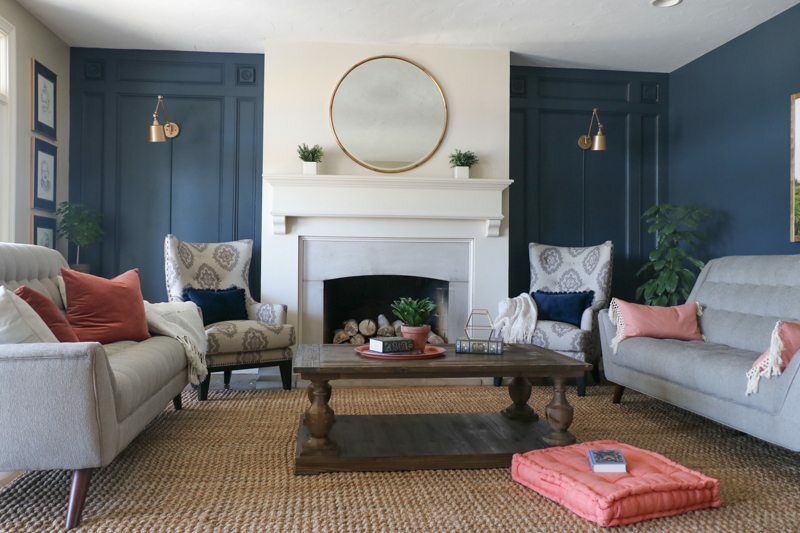 The makeover included a paneled wall – one of my favorite projects to date! Since moving into our home, I have struggled with what to do with the inset walls. However, I didn’t want to build bookshelves since we have a huge wall of shelves in the next room. 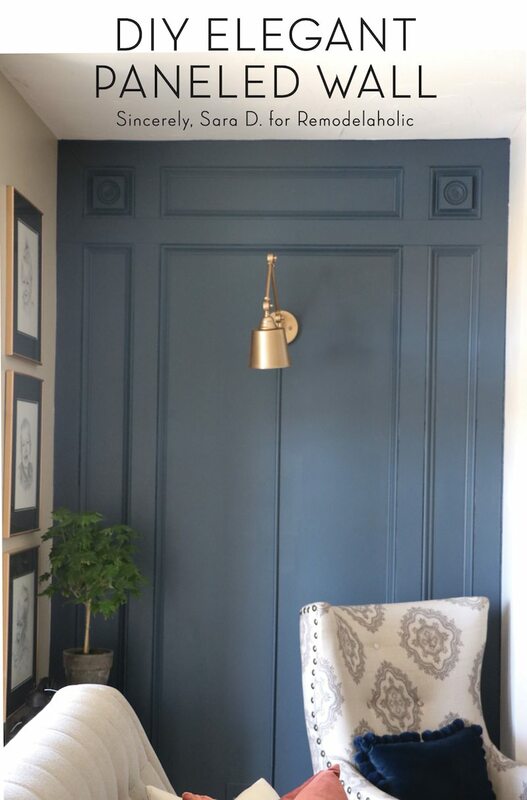 I wanted the inset to appear more special, so this DIY detailed paneling was perfect for the space. 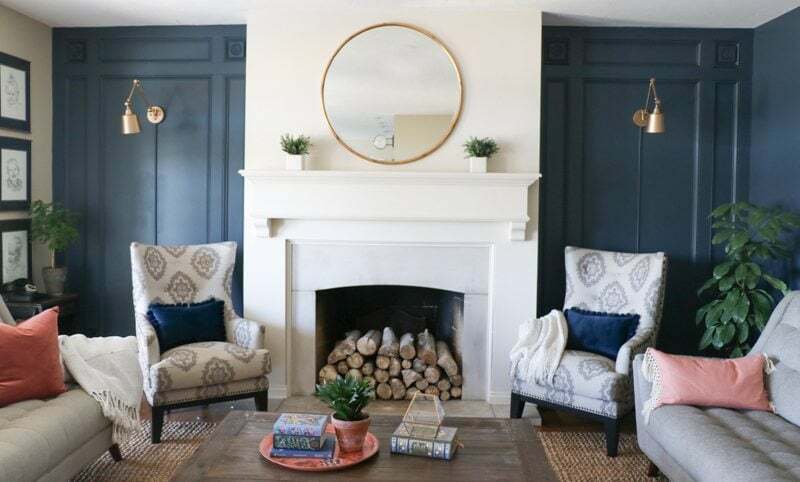 It adds interested without taking away from the fireplace (the focal point). 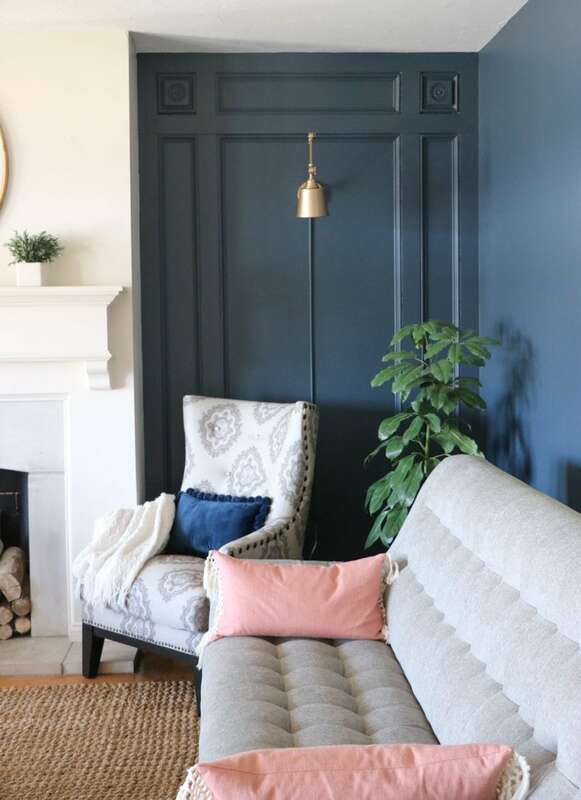 I wanted to give my family room an entirely new look, and this DIY paneled wall makes such an elegant statement. I do not claim to be a woodworker, but I am pleased with the result and spent around $300. You can see the full detailed tutorial over at Remodelaholic. 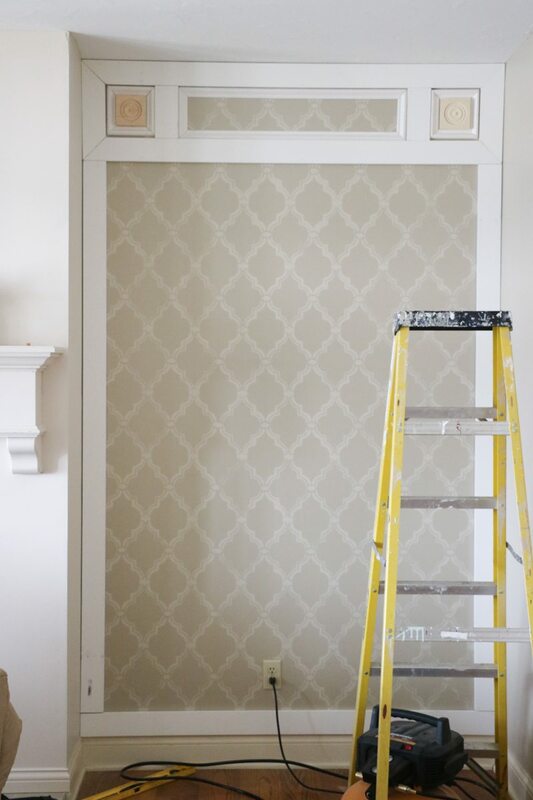 I stenciled the wall early on to add some interest, and I am glad it was paint instead of wallpaper. I was able to just paint right over the pattern! 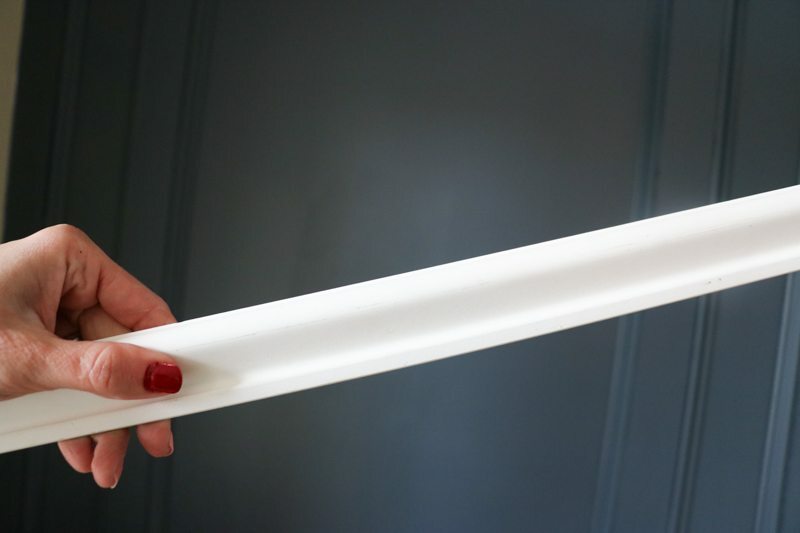 Caulk is your friend in this project – notice the gaps. 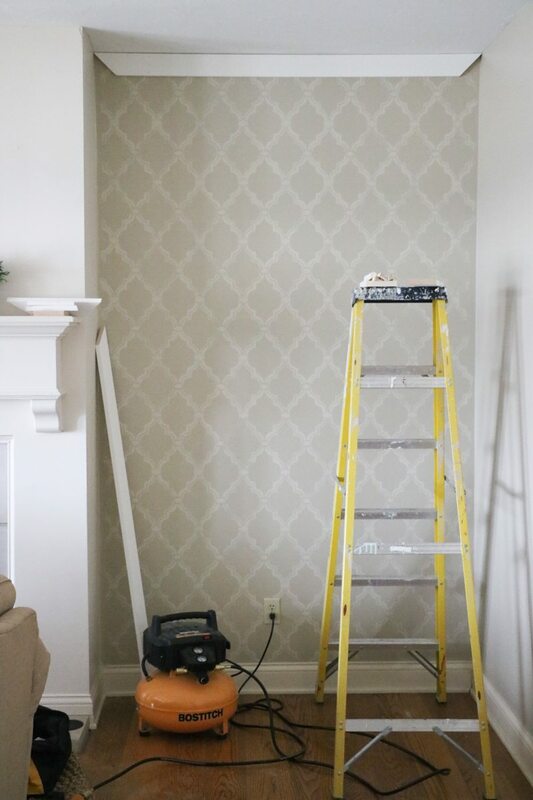 I did this wall treatment entirely solo, so I promise it is a DIY project you can do as well! See the full tutorial on Remodelaholic. Looks beautiful! Were these decorative walls before or were they used for a purpose? Thanks Kathy. I never quite knew what to do with them, but they were always just decorative. I had a stencil on them before the paneling.